GameStop Italy have added an option to pre-order Pro Evolution Soccer 2016 to their site. Although no new details are given and the PES 2016 release date is not revealed by the major retailer, GameStop Italy uploaded a preview version of the PES 2016 cover art to their site, featuring the new PES 2016 logo. 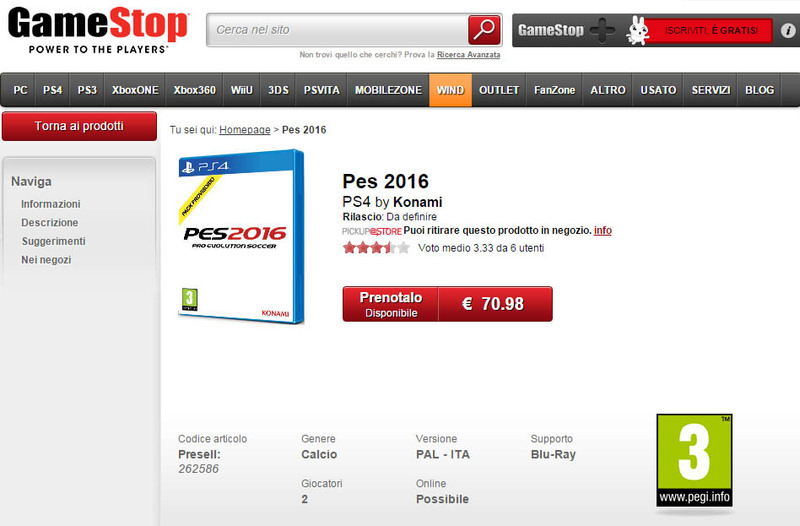 Screenshot of the GameStop Italia site for the PES 2016 pre-order. This is the preliminary PES 2016 cover as seen on the GameStop Italia site. The cover image used by GameStop for the PES 2016 pre-order is completely white featuring the standard PlayStation 4 box design. 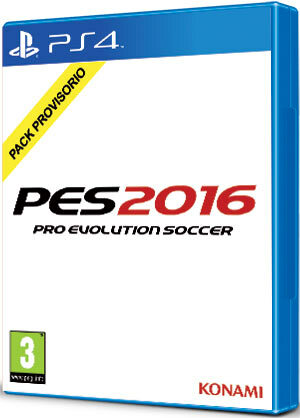 The Pro Evolution Soccer 2016 logo is visible in the center of the preliminary PES 2016 cover, apparently unchanged from last year apart the obvious year change. Although not officially announced yet, it is no secret that Konami will release Pro Evolution Soccer 2016 this autumn. We are expected to get the first news for PES 2016, which will feature more licenses than ever before, later this month and in June.